The world’s most popular utility started life in March 1968 as a 4×2 pick-up with a small-capacity petrol engine and manual transmission. It has since progressed markedly with the introduction of diesel and later turbo-diesel power, 4×4 variants, automatic transmissions, higher specification for recreational use, and sophisticated twin and quad cam petrol engines. 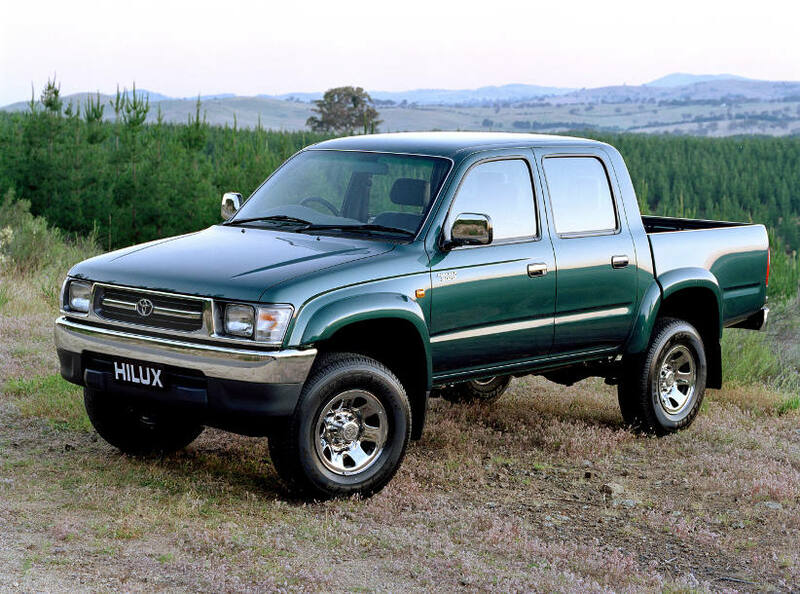 HiLux has lived up to its “unbreakable” reputation by overcoming extraordinary challenges, including attempts to “kill” it by the BBC’s Top Gear TV program. It has conquered the Arctic, becoming the first car to reach the Magnetic North Pole, and was driven to the heart of the devastating Icelandic volcano, Eyjafjallajökull. HiLux has been produced in as many as 12 countries, including Argentina, Colombia, Japan, Kenya, Malaysia, Pakistan, South Africa and Thailand. Vehicles for Australia are produced in Thailand. Its name came from a combination of “high” and “luxury”; HiLux was initially engineered and built by truck specialist Hino. It began its illustrious career as a short-wheelbase 4×2 pick-up with a 1.5-litre petrol engine delivering 55kW and a four-speed manual gearbox. A full model change included new styling, greater safety, stronger brakes, five-speed transmission and the introduction of models including high-grade SR5. HiLux continued to carve out a firm global foothold with the arrival of 4×4 variants and its first diesel engine. A new double-cab body – with front and rear bench seats and comforts such as power steering, air-conditioning and cruise control – enabled HiLux to be used for leisure as well as being a tough workhorse. The range was expanded with the extra cab body style and improvements such as independent front suspension, automatic disconnecting front differential and electronic fuel injection (petrol). HiLux performance, utility and durability were enhanced by the introduction of a V6 petrol and new 2.8-litre diesel engine, delivering powerful performance ideal for commercial and recreational use. HiLux was redesigned with increased head and leg room while significant attention was paid to exterior styling, ride comfort and safety. The WorkMate range was introduced, along with new petrol engines and the first turbo-diesel engine. This generation introduced a 4.0-litre quad-cam V6 petrol engine, 2.7-litre twin-cam four-cylinder petrol and a common-rail turbo-diesel engine as well as continual improvements to safety and comfort. The latest HiLux features a thicker frame, stiffer body, new high-torque turbo-diesel engines, advanced six-speed transmissions, beefed-up suspension and brakes, expanded off-road ability as well as SUV-like features, safety, comfort and convenience.